Have you ever been in a relationship or a job which felt safe or comfortable but didn’t really move you or ignite a spark within you? Nothing was really wrong with your situation but somehow it didn’t feel right. In other words, it didn’t hit your sweet spot. I think that being in these comfortable and less-than-ideal situations is actually worse than being in dire circumstances, because you don’t experience an urgency or pressing need to leave such situations. This tendency to live within a comfort zone can leave you feeling stuck and unfulfilled. We fail to realize that we are deceiving ourselves with a false sense of security and limiting the opportunities for growth, joy and the other goodies that life can offer. I have experienced this many times in my life, having been raised with those values. My parents belonged to a generation and culture that believed in “playing it safe” and finding happiness in stability and in the familiar. I certainly acknowledge the importance of some degree of stability and security in our lives. It’s a basic human need that should be fulfilled. But I also believe that if we overdo it and we play it too safe, we could miss out on the growth and progress which is essential for our soul’s evolution. 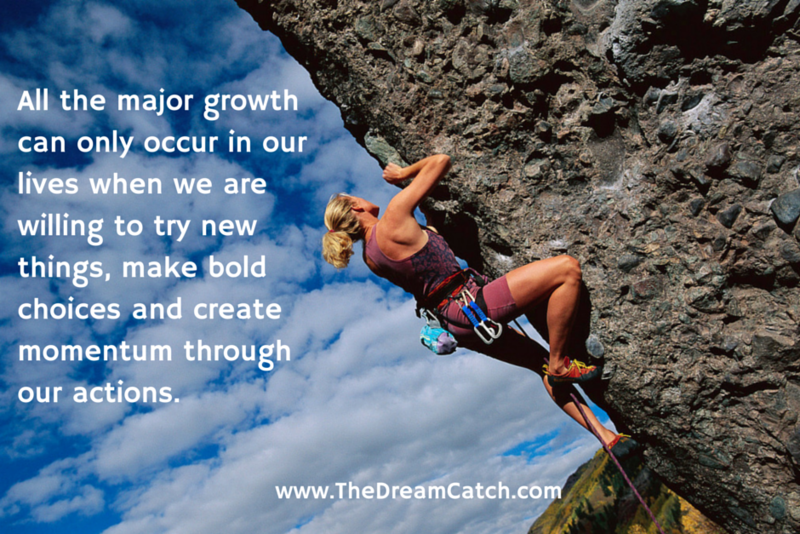 The truth is that all the major growth can only occur in our lives when we are willing to try new things, make bold choices and create momentum through our actions. But how do we know whether a certain opportunity is a worthy pursuit? The truth is you can never be entirely sure as life offers no guarantees. However, there is an internal compass that can help the decision making process and that is, your feelings. Your intuitive feelings are without a doubt an accurate barometer because it comes from a place that is deep and instinctual. You could certainly consult your rational thought process, but it’s all too easy to lose objectivity especially in situations that are deeply important to you. Unless you are highly conscious of your triggers, it would be wise to tune into your inner guidance. Let’s take a look at two scenarios to see how this can play out. Say that you are considering starting your own business. Your mind might say something like “You should start working on creating your own business now! Aren’t you tired of working for someone else? Don’t you want to be your own boss?” Even though your mind is saying this, deep down inside you feel uneasy or stressed at the thought of starting your own enterprise. Your body feels heavy and contracted, which is clearly sign that you are not ready to make this move either because of some fears you have or other issues that have not been addressed. Let’s take another example. Say you have been dating someone and your mind keeps saying “He’s too cute/smart/rich for me. I’m sure that he will cheat on me at some point.” But when you’re around him you feel comfortable and experience a sense of lightness and peace (notice I didn’t say you experienced a “high” because that comes’s from a different place). You know that somehow it feels right, despite what your mind is saying. This is your body’s way of giving you an internal “yes”! So if there ever is a conflict between your mind and your feelings, always go with how you feel. 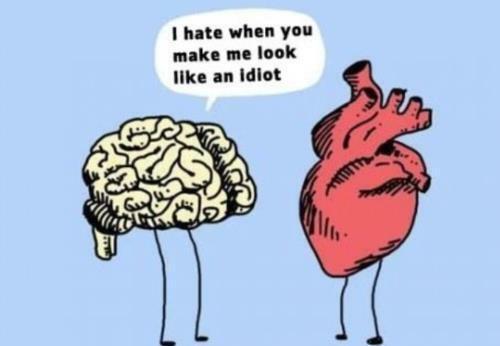 Deciphering your feelings is a little tricky because they are a lot more subtle than the voice of your mind and the rational thought process. For this reason you need to train yourself to become more in tune with your inner world through regular practices such as mediation, journaling, yoga or simply spending a few minutes in silence. Whatever it takes to get you more centered, grounded and more in tune with your feelings. Do this and you will find yourself making choices that will take you towards a life that is more exciting, passionate and purposeful! Question for you: How do you generally assess whether something or someone is a right fit for you? What do you believe will help you make exciting choices in your life?